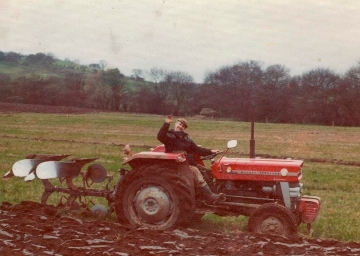 Les Davies was born into a farm worker’s family in North Somerset and has spent the whole of his life in connection with the land. For nearly 20 years he was the Senior Warden for the Mendip Hills Area of Outstanding Natural Beauty based at the Charterhouse Centre on Mendip, an association about which he feels justly proud. His apple orcharding background of over 40 years is much sought after through the many courses he runs for local and national organisations throughout the West Country. Les worked and trained at the Long Ashton Research Station near Bristol, and the Somerset Agricultural and Horticultural College at Cannington where he studied for a National Certificate in Horticulture (NCH). This was followed by 11 years with Showerings Ltd, the Shepton Mallet cider makers, as Orchards Advisor and later the Orchards Supervisor. Les also spent 18 years as a Territorial Army soldier between 1971 and 1989. He was commissioned at the Royal Military Academy Sandhurst in 1982 and received the Lord Lieutenant’s Commendation for Meritorious Service. Today, Les Davies provides training courses for the Farming and Wildlife Advisory Group (FWAG) in 3 counties, specialist orchard contracting and advisory work, and assistance for local community orchards by improving their knowledge and skills through training. He also runs orchard courses at the Somerset Rural Life Museum, for the National Trust and is an Orchard Mentor at the Chalice Well Trust in Glastonbury. Les also delivers farm and countryside education to schools and adult groups for both Yeo Valley Organic Ltd and Thatcher’s Cider Ltd.
As well as his orchard contracting, Les is an environmental contractor working with local businesses, trusts and organisations in wildlife and landscape conservation and enhancement. He is a specialist in restricted access and steep slope mowing. In 2005 Les was awarded an MBE for contributions to the Environment for his work within the Mendip Hills AONB. In 2002 he received the Queen’s Golden Jubilee Medal and in 2012 the Queens Diamond Jubilee Medal for services to public safety, through his work with Search and Rescue. He was made a Fellow of the Royal Geographical Society (FRGS) in 2012 and sits on the regional committee for Wales and the West of England. Les is also on the Council of the Royal Bath and West of England Society, as well as being a member of the Society’s Environmental Youth Awards Committee. Les is a professional countryman, with a lifetime’s experience of the landscape. It is this local knowledge, coupled with an understanding of the rural way of life that is now being put to work in helping others to understand the natural environment that is around them. Communication is also a vital part of his work. His regular links with the media, and written articles that have appeared in local and national publications. This combined with his broadcasting for local radio, help to keep the special qualities and values of the countryside in the public eye. 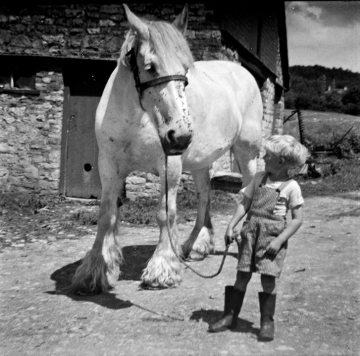 Les also delivers a series of countryside-related illustrated talks to local groups, Trusts and Societies.